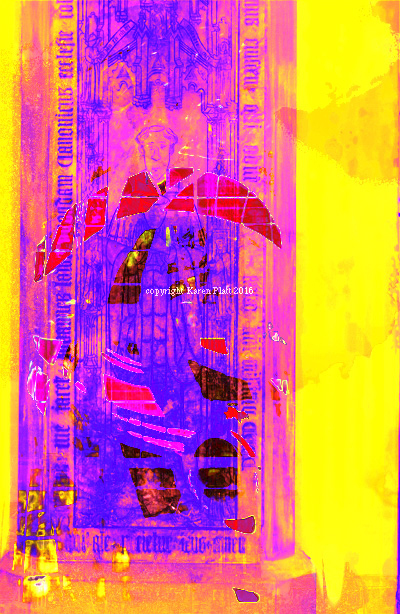 A bumper book, compiled from Carolyn’s best sellers. 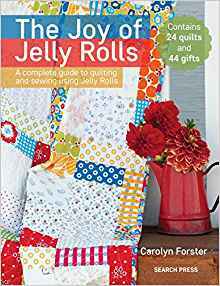 It includes 44 gift projects and 24 quilts to make use of the ever popular jelly rolls for quilters. This is super value, especially if you do not have the previously published books. Gifts include patchwork and quilt home accessories such as coasters, bags, bunting, toys, hanging decorations and key fobs. 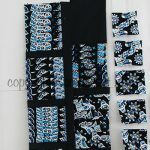 The quilt designs include hand and machine sewing and use a variety of techniques. 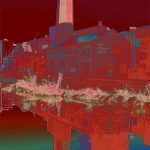 The latter are clearly explained with step by step instructions and good photographs. Backing, binding and finishing instructions are also included with templates. 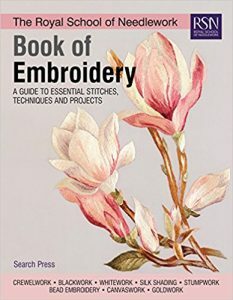 There is lots to love about this book including good tips and techniques. Projects I like include the patchwork dog, Manx log cabin mat, hanging fish, flower power coasters, Russian dolls, sunshine pot mat (my favourite), beach hut key fobs, thread pot and of course the quilts. Quilt Design is often about problem solving. It’s about making things fit into the mold or breaking that mold as the case may be. I see so many questions on social media – do these fabrics go together? Does this look better than that? Yet there are formulas and guidance for which fabrics to choose and how to put fabrics together. Then you see really beautifully made quilts, but with the wrong colours, or poor fabrics, and even badly stretched ones. Quilting takes time, so it is best practice to get to grips with the essentials. That does not mean following a colour wheel slavishly. You need to understand colour, in the same way you need to understand fabrics. 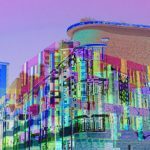 Once you have made these basic decisions and applied the rules, you open the door to fabulous design and all its glorious permutations and possibilities. That’s what I love about quilting. If you are just beginning, click this link to join my beginners’ quilting ecourse. My latest quilt was a not-so-scrappy-scrappy-quilt. I wanted to use leftover scraps from two OBW quilts. I was faced with design choices and decisions at every stage. So I pause now and then and consider design principles and my options and work out the best way forward. That’s what design is all about. Scraps rarely come in uniform sizes and that has to be accommodated. I had some hexagons, rectangles and squares and I had to figure a way to use them all. I did, eventually. I am pleased with the result. Of course, I made more scraps along the way! If you need to see quilting in action, join me on a quilt retreat, workshop or holiday in the U.K., France or India, by clicking this link and scrolling through the pages. A follow on from the best selling Quilt As You Go Made Modern. Jera has come up with another winner, based on the ever-popular vintage theme. 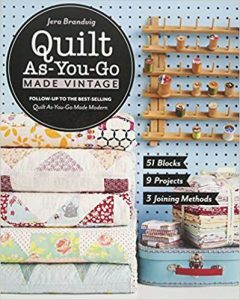 The book gives materials and tools, information on batting and quilt sizes plus everything you need to know about what is unique about this way of quilting. It has become one of my favourite techniques for working on a domestic sewing machine. It is far easier to join the blocks, having quilted them, than to quilt the whole top in one go. 51 classic vintage blocks (12 inches (30cm) square, nine projects and three joining methods are included. You can even make your quilt reversible. Easy to follow instructions and great photographs and line drawings. 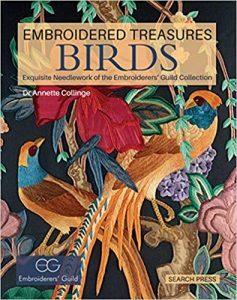 The book is suitable for all levels of quilters. Versatile and easy, qaygo can be applied to any quilt block. 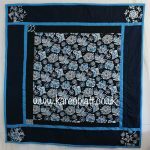 It is absolutely fantastic with quilts small and large, a cushion and a table runner. The smaller quilts could be used as wall hangings. There’s a little bit of improvisation in there too. Recommended. There are traditional or modern quilts and there are quilts that transcend craft and become art. So I took him along to The Festival of Quilts, and he got the hanging of quilts on walls as decoration, but he is still not convinced about the money side. Isn’t this just a craft that people do when they retire? Aren’t they just given away for free? 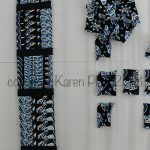 As I finished writing the beginners’ quilting ecourse and the quilting design ecourse and all the samples I had to make; I find myself free to follow my own path (more or less) and quilt what I always wanted to quilt. 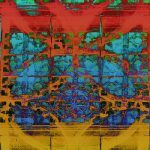 I have said it before, that I came to quilting because so many friends said my digital art would make great quilts. 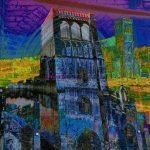 I have still to use my digital art in that way, but now I am free to explore. Like knitting, quilts stand at the crossroads of art and craft. Original design alone does not make it an art form. Using art and design principles, like those I teach in the ecourses helps to distinguish a quilt as a piece of art. It’s also about breaking the mold of functionality and thinking outside the box. Making money from any craft or art is never easy, but it is possible. I am hoping to make my mark on the quilting world for my innovative ideas and creative use of this medium. 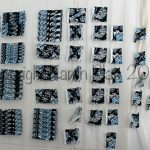 A quilt artist uses traditional quilt techniques but also employs non-traditional ones such as digital or painting, dyeing or stamping, has a message or something to say. Modern quilting is big business. 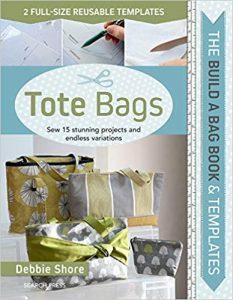 Totes are so easy to make and this beginners book offers the bag maker some ideas to transform the basic pattern. It includes just two re-usable templates that can be drawn around and kept inside the hardback folder that encloses the paperback book. The easy to follow, step by step instructions are just about foolproof, the illustrations are very good. 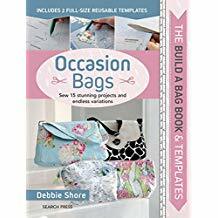 The book includes simple totes with alterations to a basic pattern by adding a bow, flap or a knotted twist of fabric. 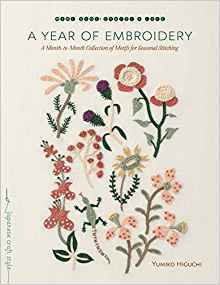 With the purse and drawstring bag, you have three basic patterns although the book claims there are 15 patterns. This is still good value for money however for the inspirational variations. Debbie Shore provides insight into bag making. I love the format of this book – the package includes a paperback book and re-usable templates bound in a hardback cover. There are 15 projects to sew. There are only two templates however, and this has limited the scope of bag styles. Having a different fastening or flap is not sufficient in my opinion and the book desperately needed a wider range of bag shapes and sizes. The concept is however fantastic. Owing to the limited number of styles, I would say that this book is excellent for beginners. Get to grips with basic bag making. The projects include: curved, round and scalloped flap handbags; bow, curved, zipped, patchwork and scalloped flap, slim, chain strap clutches, cosmetic bag; fringed, piped, triple pocket handbags and a zipped purse. The illustrations are very good and the instructions clear and easy to use with step-by-step images for you to follow. The templates are drawn around and can be used time and again. You could change the size with a little initiative and add your own embellishments, however to me this is more like 4 patterns dressed up to look like 15 but still good value. 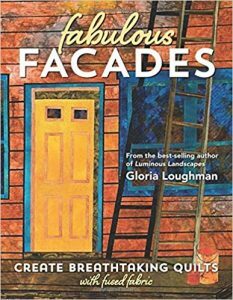 Subtitled ‘Create Breathtaking Results With Fused Fabric’, this book shows you how to take photos of facades and make quilts. It includes Design, Color (retained American spelling), Fabric, Creating a Pattern, Construction, Putting It Together, Finishing and Projects as well as a gallery of work. The book deals with a theme – the theme of facades – architecture, doors, buildings, skyscrapers, shape. Gloria explains how the technique can be applied to other subjects. All patterns are available as a download. 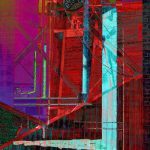 Looking at Gloria’s photos and finished quilts is very inspiring. Other artists work is included too. There are many examples of buildings from around the world. A detailed account is given of the method and techniques used. This is a fabulous addition to Gloria’s already published books. It gives practical information that is easy to follow accompanied by fabulous photos. 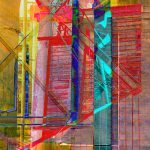 Very inspiring use of photos to art quilts.